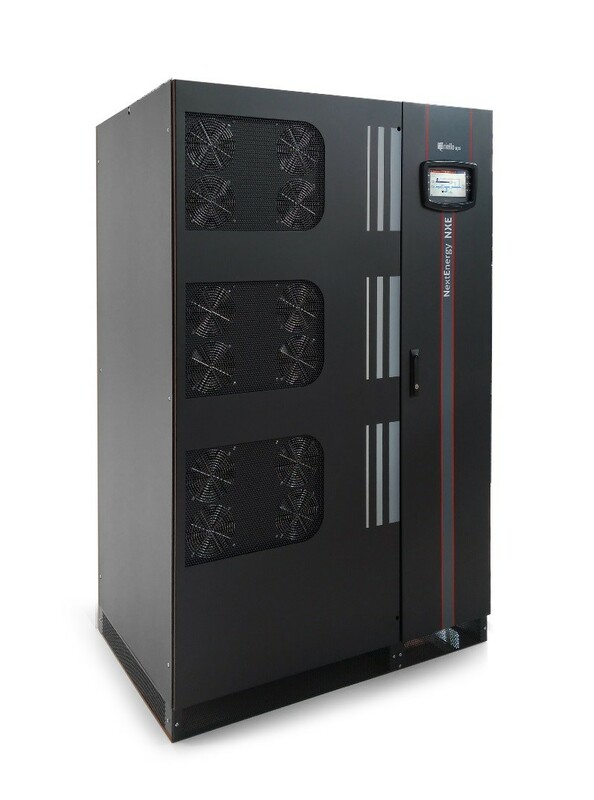 The Next Energy 250-300 kVA UPS device is a high-tech solution offering high efficiency of up to 97 per cent and low running cost. The system is equipped with a seven-inch interactive touch screen providing UPS information, measurements, voltage and current waveforms. The Next Energy also boasts transformerless double conversion technology at VFI SS 111 classification, integrated IGBT three-level design and an in-built energy control system as standard. Its high-quality components help to guarantee first-class performance such as unity power factor (kW/kVA) and support the capability to supply capacitive loads, as well as easy system upgrading, making it the ideal solution for business continuity. Designed with the latest technology, the Next Energy works to not only prevent disturbances on the mains, but also to clean the power supply.